We are all inundated with health information, news, wellness systems and diet and exercise programs that can be overwhelming, complicated and expensive. Our doctors and therapists at Hopkins Health & Wellness Center and DMR Clinic Woodbury wrote a book titled Wellness for Everyone: An innovative new approach to a healthier, happier and balanced life It contains the essential information that people need to get healthier and stay that way. Whether you are looking to transform your health drastically, or you just want to find new ways to enhance your health, this book will help you. It may also change the way you understand your health and how your body really works. And here’s the beautiful thing: It’s simple. Armed with this new knowledge you will be able to implement change on your own. No gimmicks, memberships or unrealistic and unsustainable health programs. Just specific, scientific, and practical information that will make you healthier, happier and balanced. 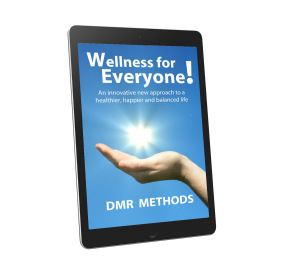 Request a free copy of Wellness for Everyone: An innovative new approach to a healthier, happier and balanced life by clicking the link below.